Maxie wonders why she’s seeing Georgie&apos;s spirit all of a sudden. Georgie is worried about Maxie’s choices, and advises her sister to get her act together. Maxie had the best of intentions when this started, but has made mistakes. Georgie knows her bond with the baby is growing every day, and feels Spin would be a good father. Maxie can’t give the baby to Spin, and take it away from Lante. Georgie points out the baby is Maxie’s daughter. Maxie volunteered to be a surrogate, but feels it’s too late now to change things. She knows it would destroy Lulu. Georgie mentions it will destroy Maxie to hand over her daughter. Maxie admits it will be difficult, but she has to do it. Both girls are sorry Georgie can’t be with Maxie, but Georgie promises she’s in Maxie’s heart. Ellie tells Spin she’s changed her mind about having a baby, since he wants one so desperately. Spin is surprised at her change of heart. Ellie believes it’s worth it because she loves him. Spin assures her that he’s happy with the way things are, but promises to revisit this when he returns from his trip. Ava lays into Franco until she spots Alexis, and pretends to be all loving and worried about him. Franco claims he fell down the stairs, then introduces the women. Ava already knows about Danny, since Kiki has been tested. Alexis quickly takes off. Sam and Silas take Danny to the hospital. Sam explains to Alexis what&apos;s going on, and blames herself. Silas orders a round of tests. Alexis heads off to make sure all the samples are at the lab. Connie tells Sonny she wants him back. She’s been working hard to get herself together, and now feels there is no reason for them to be apart. Sonny says she made him let her go, and he did. Connie wonders if it’s too late, and asks if he’s with Olivia now. Lulu tells Dante about the name Georgie, and Dante likes it. However, she feels it’s not their name to give. Lulu explains she was a terrible person to Georgie, and still feels ashamed about it. 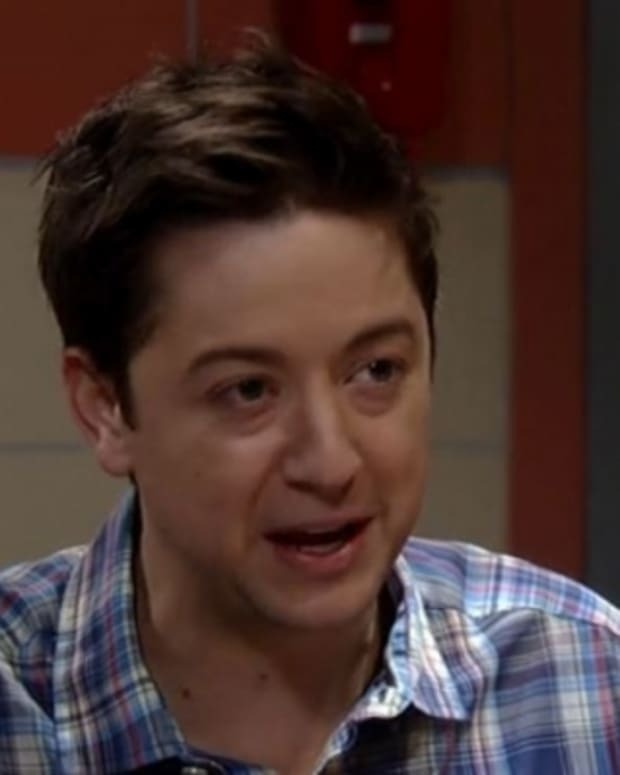 Dante complains about Sonny wanting Franco dead, but he has no proof of Sonny’s true feelings. He tells Lulu about Franco being beaten up, and how Alexis is not saying anything. Dante doesn’t understand why the women in Sonny’s life are all ready to defend him. Olivia will always love Sonny because of Dante, but knows Connie belongs with Sonny. She tells Sonny that Connie is the one he wants. Olivia heads out to pack her stuff. Sonny stops her, but Olivia orders him to be happy and make things work with Connie. Molly tells Rafe she’s letting her father know about Danny. Rafe assumes Ric is Danny’s grandfather, until Molly explains they all have different fathers. 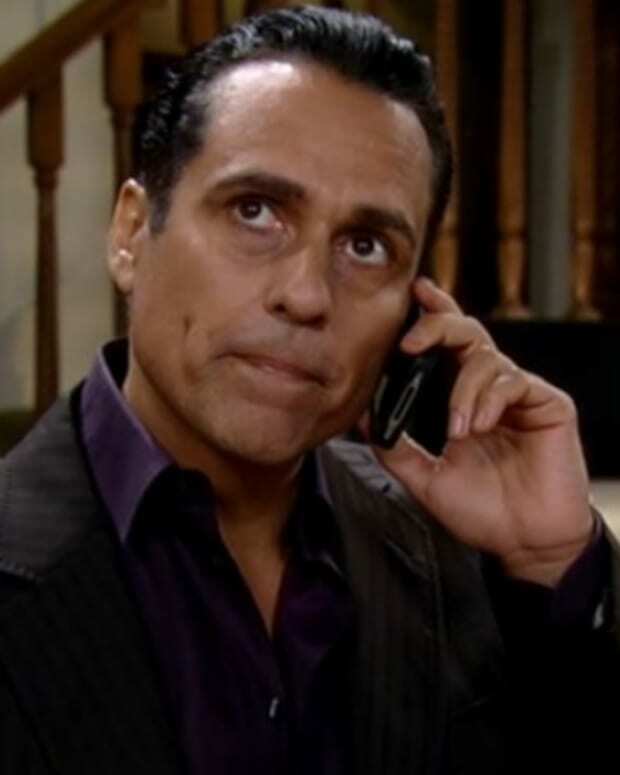 Franco explains to Ava how volatile Sonny is, but he didn’t turn him in. Ava figures it’s so he can have something to hold over Sonny. She accidentally mentions something about a previous love, and Franco is shocked to hear there’s someone other than him in her past. When Ava storms off, she comes face to face with Silas. Maxie shows up at Lulu and Dante’s determined to tell them something. Silas gets the test results, and tells Sam his protocol isn’t working. They need to do the transplant as soon as possible. Sam is upset, because he promised it would work. She only agreed to the protocol, because he made her trust him. Silas reminds her they knew there was a chance it wouldn’t work, but promises everything will be okay. When Alexis returns, she’s upset by the latest development. She points out they’ve tested all living family members. Sam says there’s one missing, her father.